The use of green fillers depends upon their availability and it is also dependent on the season. Green leaves are used for the decoration. 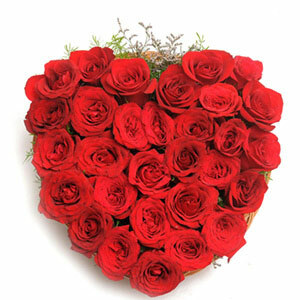 Roses are known as the most used flowers in the world, for gifting, decoration and for some cultural rituals as well. Red roses stand for love and care. Surprise your special someone on your special day with something unique and beautiful. 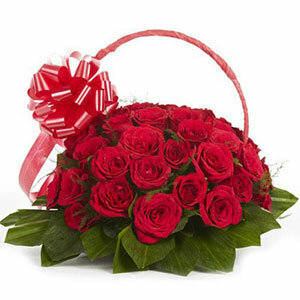 They will love this bouquet of 15 red roses and will cherish the moment forever. 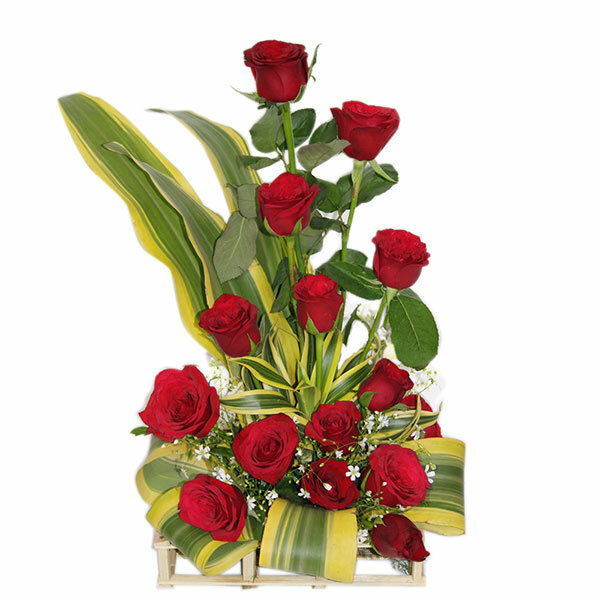 This bunch arrangement of red roses will give a well-needed spark to your relationship. So, on this special occasion of yours give something worthy to your loved ones. The image shown here is just for representation purpose. The original product may be subject to variations in terms of the design, arrangement or structure depending on its availability. 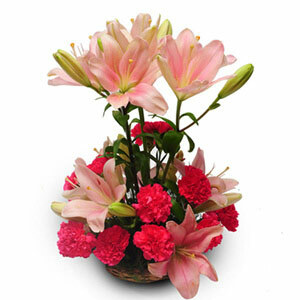 As flowers are delivered as and when the requirements came in, therefore, there are chances that the flowers in this arrangement may be delivered in either full bloomed, semi-bloomed, or budding stage. The time chosen by the customers are just an estimated time of their delivery of flowers. Everything depends on the product availability, weather conditions, and the address at which it is to be delivered. 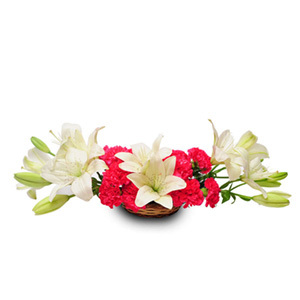 The delivery of perishable items like flowers is only initiated once at the desired address by us. Its delivery will not be redirected to any other place. Since flowers are fragile in nature, we only provide their individual hand delivery at the desired address provided by the customer. Sometimes, we substitute the ordered flowers with other blossoms in case of their unavailability. Once you receive your flowers, trim the stems from the bottom and place the flowers in a vase filled with water. Again cut the stems to about 1-2 inches in a slanting direction. Always put the flowers in a clean vase and fresh water. Cut all the leaves immersing in water. Don’t remove the leaves on the stems. Keep a check on the water levels and try to change the water on daily basis for a longer shelf life of flowers.Keep the flowers away from direct sunlight and excessive heat. Sprinkle some water on the flowers for that refreshing brightness.